Our Tanzanian WFTO Member WomenCraft is now the second Fair Trade Organisation to receive an Inspirational SME Award. These awards are given by CBI (Centre for the Promotion of Imports from Developing Countries), an agency encompassed in the Dutch Ministry of Foreign Affairs. The first winner of this award was our member Selyn Exporters (Pvt) Ltd. back in 2013. We are very proud that yet another WFTO member has been recognized for its efforts inside the Fair Trade Movement. WomenCraft operates in Ngara, Tanzania, a post-conflict border area where Burundi, Rwanda and Tanzania meet. This organisation has created economic opportunities for over 300 rural East African women. One of their main goals is to empower rural women by giving them the possibility to create products that are connected to their culture and talents. WomenCraft artisan women are able to provide for their families and stimulate their local communities, achieving economic self-reliance. Sandra Beverly Wanduragala, founder of Sri Lankan WFTO Member Selyn Exporters (Pvt.) Ltd., won the Woman Entrepreneur of the Year Award at the 2014 Asia Pacific Entrepreneurship Awards-Sri Lanka. This recognition honoured Sri Lanka's promising entrepreneurs. The Awards were presented by Dr. Sarath Amunugama, Senior Minister of International Monetary Cooperation and Mr. Neomal Perera, Sri Lanka’s Deputy Minister of External Affairs. Founded in 1991, Selyn has come a long way from working with 15 women in the village of Wanduragala to nearly a thousand members now. They have expanded their operation that includes 16 workshops in handloom villages in the rural outskirts of the Northwestern, Eastern and Southern provinces of Sri Lanka. Their commercial and organisational aim is to revive traditional Sri Lankan handloom industry while providing jobs to community members. Visit their website here: http://www.selyn.lk/. Italian WFTO member Altromercato won a prestigious recognition by SetteGreen Awards 2014 for promoting Fair Trade food products in Italy. The award was given on 2 December during a gala evening in Milan. The SetteGreen Awards are given to projects that promote sustainability and care for the environment. Winning in the food category of this competition, Altromercato was awarded for their sustainable and green business ideas for their project “Solidale Italiano.” Read more here. Bethlehem Tilahun Alemu, founder of soleRebels the world famous Ethiopian ethical footwear company, won the pan-Africa Face2face award for entrepreneurship back in July 26, 2014. Face2face Africa is a global media company focused around re-modelling the current lack of global attention to African topics. WFTO member soleRebels has managed to establish itself as an important pioneer in African business, using Ethipian traditions and culture and setting them on an international level. This Fair Trade Organisation was founded under the believe that exports and business activities are the answer to build a sustainable economy in Ethiopia. In this sense, their work seeks to boost Ethiopia's development through Fair Trade. In April 2013, our multiple award winning WFTO member People Tree UK, won the “Best Organic Textile Product” prize at the Natural and Organic Products Europe Awards in 2013. On its eighteenth year, the annual awards brought together over 430 industry professionals to recognise and celebrate the standout brands and products of the year. The ceremony was hosted jointly by Natural Products magazine and the Soil Association, and sponsored by Fitness Pharma by Natupharma. In November 2013, Bitten Hogh attended the 2013 Award Giving Ceremony for “China Right Here” in Beijing where she received an award for having made an outstanding contribution to China. The ceremony was hosted by UNDP, Tianjing TV station and Hong Kong TV station and was broadcasted throughout China and to Hong Kong. Selyn Exporters (Sri Lanka) and Coronilla (Bolivia) won in two of the three categories of the Inspirational SMEs Awards 2013. 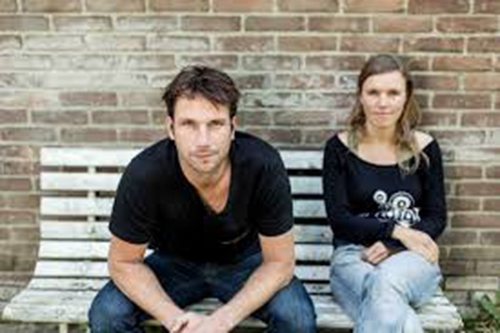 These two WFTO members were awarded with Inspirational SME Awards for People and Profit respectively by the Dutch agency CBI or Centre for the Promotion of Imports from Developing Countries on 16 December 2013. WFTO is proud of the increasing amount of members joining the list of Fair Trade Organisations that demonstrate Fair Trade practices, such as Selyn and Coronilla. Selyn Exporters has been a member of WFTO since 2007. Founded in 1991, they are committed to empowering disadvantaged Sri Lankan communities, especially women, ever since their humble beginnings. Today, they employ 1000 crafters seasonally, and deliver high-quality products made of 100% natural handloom cotton fabrics to customers around the world. Coronilla S.A. has already been active for over three decades. Throughout the years, the organisation has managed to grow sustainably through Fair Trade and ethical practices. Hard work paid off this year as company’s exceptional sales performance caught CBI’s attention. WFTO Dutch member FairMail was awarded with the European Commission’s European CSR Award for SME’s. 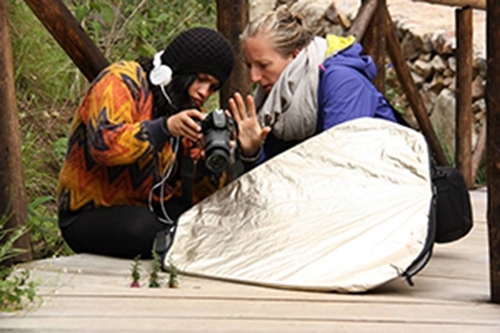 WFTO member FairMail trains and empowers teenagers from Peru, Morocco and India to take professional picture. The European CSR (Corporate Social Responsibility), launched in 2012, focuses on successful partnerships between business and non-business organisations, with particular emphasis on collaborative programmes that tackle sustainability through innovation. It has been implemented by a consortium of 30 countries, funded by the European Commission, led by CSR Europe and Business in the Community and supported by Alliance Boots. Bethlehem Tilahun Alemu was recognized by the Schwab Foundation for Social Entrepreneurship. The founder and CEO of soleRebels was awarded the Social Entrepreneur of the Year Award at the 2012 World Economic Forum on Africa, which took place in Addis Ababa, Ethiopia in May 2012. Spending her life watching her family and friends struggle to make a living, Bethlehem decided to make a change. Utilizing footwear, an untapped market in her area, she took advantage of the outstanding skills of artisans in her small village in Ethiopia. Created in 2004, soleRebels earned the recognition of being the world’s first Fair Trade footwear company. By making their own materials or locally sourcing them, the company ensured that their products were created from 100 percent local inputs. Moon Sharma, Chairperson of Indian WFTO member Tara Projects wins the 2012 Social Entrepreneur of the Year Award. Safia Minney, Founder of WFTO member People Tree was a finalist of The Guardian Sustainable Business Awards in May 2012. The GSBAs highlight leadership in the field of sustainable business and encourage organisations to share best practice in the field of sustainability. In May 2012 several North American Fair Trade Organisations received recognition. After a three month voting process three members in North America were announced winners of “Best in Fair Trade” Awards. SERRV International, Ten Thousand Villages USA, and Ten Thousand Villages Canada were all recognized for their outstanding contributions within the Fair Trade community. The Best of Fair Trade Awards are five separate awards presented to five Fair Trade organisations for deep devotion and support towards different aspects of the Fair Trade movement. Due to SERRV’s long-time dedication to Fair Trade, it received the “Outstanding Long-Term Commitment to Producers” Award. WFTO member FairMail is the recipient of the Ben & Jerry’s ‘Join Our Core’ social enterprise competition. Ben & Jerry train five finalists from different countries to run amazing crowdfunding campaigns. Then they pick a Winner that will be promoted and financially supported. FairMail offers a positive product that provides a direct and effective contribution to combat poverty and abusive child labor through a business approach. Our South African member Ukuva iAfrica received an international award from the London IFE Fresh Ideas of 2011 in the category of “True Product Innovation within the Global Food and Drink Industry.” Ukuva iAfrica first started fifteen years ago as an employment project for Cape Town’s refugees and street people. Today, the business has steadily grown into an international supplier of high quality Fair Trade products (hot sauces, African spice blends, salt and wine). Two members of the World Fair Trade Organisation received the Be Fair Awards by the Belgian government for their work in Fair Trade. Bombolulu of Kenya was recognized for creating economic opportunities for people with special abilities, and Tintsaba Crafts of Swaziland for giving livelihood opportunities to women. The award was given by the Belgian Development Cooperation through the Trade for Development Centre during the kick-off of the Belgian Fair Trade week observance last month. Bombolulu Workshops was formed between 1969 in Mariakani, in Coast Province by the Methodist Church, Ministry of Social Services, the private sector and Peace Corps to create employment for people with disability. Gone Rural, Swaziland-based Fair Trade Organisation, was named best SMME (Small Medium and Micro Enterprise) in Africa in the trade category by Africa Growth Institute, an organisation that focuses on growth opportunities in Africa. Philippa Thorne and Julie Nixon received the award in a ceremony held at Gold Reef City, Johannesburg on 13 October 2011, on behalf of Gone Rural Swaziland, a women-owned and managed Fair Trade initiative that provides economic opportunities to rural women in Swaziland. Starting off with six women, Gone Rural now works with over 700 women in 13 groups across Swaziland. This exemplary WFTO member now supplies over five hundred customers in thirty countries worldwide and is committed to keep empowering the women of Swaziland. WFTO member, soleRebels the only Ethiopian company and Fair Trade Organisation was one of the finalists at the Africa Awards for Entrepreneurship in November 2011 and was awarded a prize of $50.000. WFTO member soleRebels is Africa’s fastest growing footwear brand. It bested among more than 3.300 companies from 48 African countries that submitted entries to compete for the grand prize. These awards are also known as the Nobel of business awards in Africa, honouring Africa’s best entrepreneurs who work to create businesses that meet the needs of those around them and by doing so raising the living standards of their communities. Moreover, Bethlehem Alemu is the first Fair Trader to receive the “Outstanding Businesswomen” recognition at the 2011 African Business Awards. During the 6th Mohammed Islam Design Awards four delegates went home with a prize during the 11th WFTO Global Conference in Mombasa, Kenya, 22-26 May 2011. Four delegates received five prizes for five categories of the 6th Mohammed Islam Design Awards. The winners by category were: Tintsaba Crafts (Swaziland) - Jewellery and Accessories and best booth; Undugu Fair Trade Limited (Kenya) - Homeware; SAHAJ (India) - Gifts and Uganda Crafts and Uganda Crafts (Uganda) - Traditional Design. Undugu focuses on business-driven social empowerment through exploiting the opportunities offered by Fair Trade to benefit African producers. In 2011 FairMail received two awards. 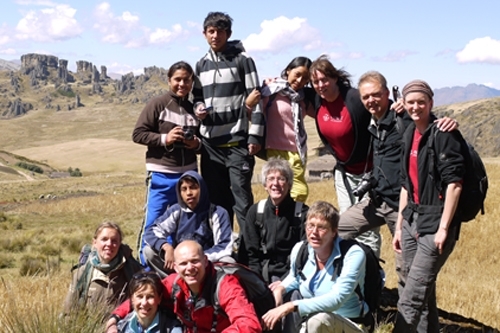 NCDO’s Enterprise without Borders. Enterprise without Borders (EWF) encourages and inspires Dutch social entrepreneurs to start both profitable and sustainable business in Africa, Asia or Latin America. 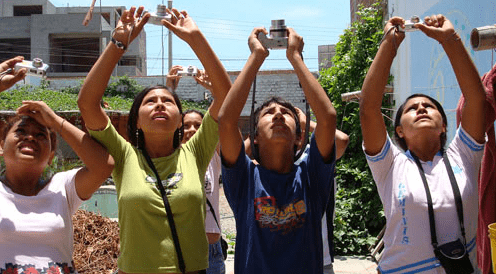 The Dutch company FairMail is the first brand worldwide producing fair trade photo greeting cards with pictures made by Peruvian and Indian teenagers whose name and faces are printed on the back of each card. Multiple-prize winner FairMail won a second prize in 2011: the ASN Ethical Bank’s ‘World Prize against child labor. ASN Bank is a Dutch bank offering financial support to organization that are engaged in sustainable projects. This bank focuses its policy on three main areas: human rights, climate change and biodiversity. The government of the Republic of Mauritius awarded our member Craft Aid Mauritius the prestigious Mauritius Business Excellence Award 2010 for Small Enterprise Category. Craft Aid Mauritius is a non-profit organisation dedicated to the welfare of the physically challenged population. In 2010, President Clinton invited Bethlehem Alemu to be one of the panelists at the Clinton Global Initiative annual meeting in New York City. That same year, soleRebels was one of the six winners of the first edition of the Green Awards by EcoBold. Companies are judged on ‘green qualifications,’ which examine products and company practices such as environmentally friendly production, carbon footprints reduction, green initiatives, promotion of eco-friendly methods, and involvement in environmental causes. SoleRebels won the Green Award in the shoes category. Two member producers of SILENCE received recognition from the Indian Government officials for their exceptional abilities despite their physical disabilities and for their positive contribution to the Indian society. Sharmila Bhattacharya, a serious burn victim, received a national award given by the Indian President Pratibha Devisingh Patil. Bhattacharya is responsible for transforming the Silence Training Institute, encouraging employment of disabled persons. Chanchal Sengupta, born with a serious congenital heart defect, received a West Bengal State award for “Outstanding Employee with Disability.” Sengupta promotes Fair Trade and the employment of physically challenged people at SILENCE and other organisations. The awards were given during the observation of the International Day for Physically Challenged persons on 3 December. Indian WFTO member Creative Handicrafts received an award from a Spanish municipality for their work with women “dalits” in India, the untouchables of the Indian caste system. Creative Handicrafts received the 2010 Prince of Viana Award of Solidarity (2010 Premio Principe de Viana de la Solidaridad), an award that recognizes the work carried out by institutions and individuals in the field of international development cooperation, especially in contribution to achieving the Millennium Development Goals (MDGs). Creative Handicraft was chosen among five other finalists: Manos Unidas, Save the Children, Fundación Vicente Ferrer, Fundación Fondo Centroamericano de Mujeres and Chema Caballero. The Indian FTO will receive the award plus €40,000 cash prize from “Sus Altezas Reales los Príncipes de Asturias y de Viana” in an official celebration in Pamplona, Spain in June. People Tree was awarded the “Most Sustainable Brand Award” at the Global Fashion Awards 2010 in New York. During the award ceremony the fashion elite gathered at New York's Waldorf Astoria. Among the shortlisted nominees were respected global brands, internationally renowned retailers and new talent from around the world. Hosted by the WGSN Trend Forecasting Services, the world's leading style and trend forecaster, the Awards were the first of their kind to honour style and innovation in the fashion industry on an international level. In 2009, People Tree’s founder and CEO, Safia Minney was made a Member of the Order of the British Empire (MBE) in the Queen’s Birthday Honours. She has built up the world’s largest 100% Fair Trade fashion brand supporting 3000 farmers and artisans through 50 Fair Trade producer groups in 12 developing countries. People Tree also received the Best Ethical Fashion Retailer Award by the Observer Ethical Awards. This same year, the Schwab Foundation selected Minney as one of the world’s most ‘Outstanding Social Entrepreneurs.’ She has managed to turn a lifelong interest in social and environmental justice into a successful international Fair Trade business. Safia was also a finalist in the 2008 Triodos Bank Women in Ethical Business Awardsm and Social Entrepreneur of the Year in the 2006 Edge Upstart Awards in Britain. In 2005 she won the Community Award at the Asian Business Awards, in recognition of her work with Asian Producer Communities. In 2006 FairMail was awarded with the BiD Networks ‘Business in Development Challenge’. BiD is a network based in the Netherlands that aims to increase economic development in emerging markets by providing small and medium sized enterprises (SMEs) access to capital and knowledge. In early 2005, Bitten Hogh - Founder of our Chinese WFTO member Dayun - received the “Excellent Business Woman” award from the China Chamber of Commerce and the China Women’s union. So far she is the only foreigner and Fair Trader to have received this prize in China. Selyn Exporters won in the category of Best Small and Medium Scale Enterprise (SME) at the 14th Presidential Export Awards 2005. Selected exporters from different sectors such as agriculture, apparel, food and beverages received awards and merit certificates at the ceremony. Mrs. Sandra Wanduragala is a holder many awards and recognitions, all result of her hard work, leadership and commitment to Fair Trade. As founder of WFTO member Selyn Exports (Pvt) Ltd. she has made it possible for her business to establish itself as one of the most dominant players in the Sri Lankan handloom industry. WFTO takes great honour in seeing its members succeed not only businesswise but also contributing to further developments inside the Fair Trade Movement by spreading the word that ethical and fair trading is possible. WFTO is very proud and supportive of its members, congratulations to all winners! If you or your organisation have received an award, please inform us and we will include it in our list of exemplary WFTO members.